To get help from the Immigrant Justice Project, call 212.382.6710. The City Bar Justice Center’s Immigrant Justice Project (IJP) assists asylum seekers fleeing persecution in their home countries, survivors of violent crimes and trafficking here in the United States, and individuals seeking humanitarian protection and other forms of relief. We match immigrants with pro bono attorneys and provide mentoring, training and guidance throughout the representation. IJP also provides representation before U.S. Citizenship & Immigration Services and the Executive Office for Immigration Review. Other forms of immigration relief. IJP staff regularly conduct trainings, outreach events, and legal clinics in the community. IJP is co-directed by Jennifer Kim and Suzanne Tomatore. 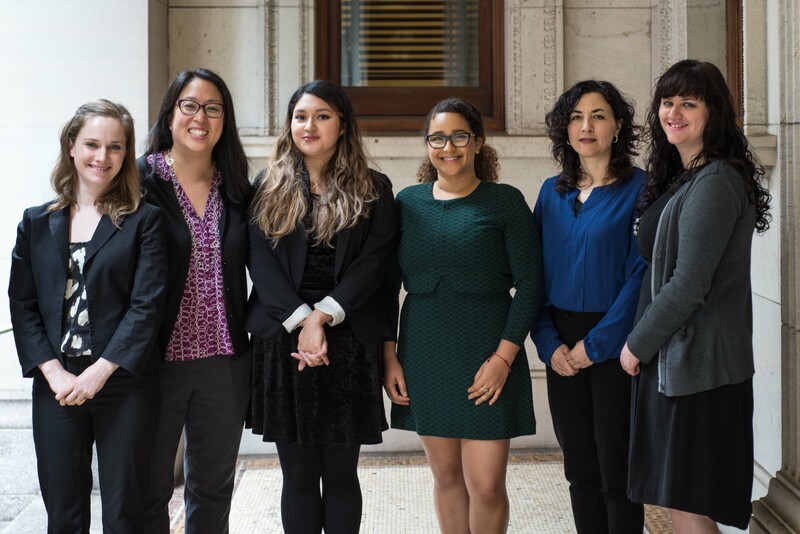 Caitlin Miner-Le Grand is on the IJP team as the Fragomen, Del Rey, Bernsen & Loewy Fellow, and Rachel Searle is the Immigrant Justice Corps Fellow. Stephanie Guzman and Lorena Ramirez are the project coordinators.